Check out Tobi's Chelsey Crop Top Open heart, open spirit in the Chelsey Crop Top. 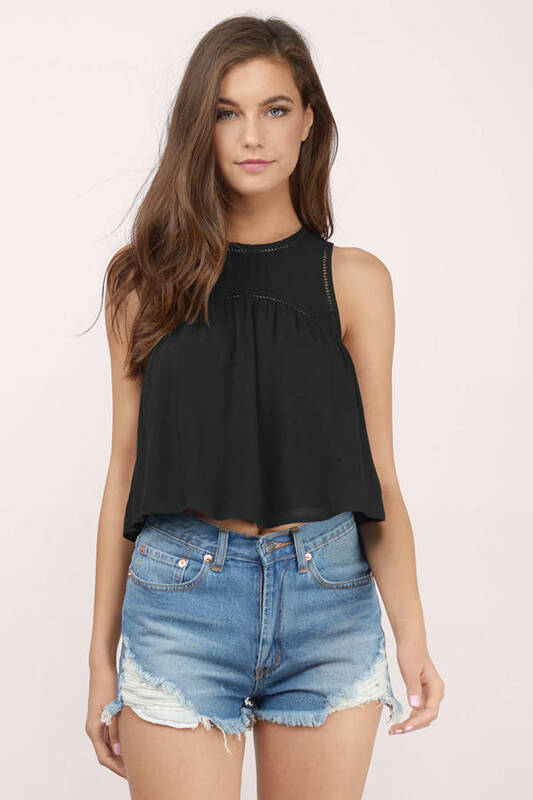 This ladder trim crop top features a high neck and feminine empire silhouette. A splitting open back balances the sweet front and is held by three single button loop closures. A flirty, sleeveless crop top that's sunny appropriate. Open heart, open spirit in the Chelsey Crop Top. This ladder trim crop top features a high neck and feminine empire silhouette. A splitting open back balances the sweet front and is held by three single button loop closures. A flirty, sleeveless crop top that's sunny appropriate.